Please click here to view a copy of the menu. Due to popular demand we are bring back our 321 menu this year. The Monday – Friday offering is to re-launch on Monday 16th February 2015. 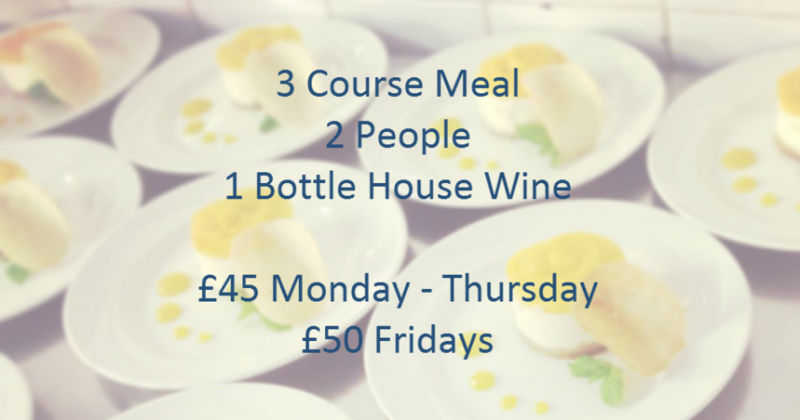 This year the menu will be priced at £45 per couple Monday – Thursday and £50 on Fridays. For this guests can enjoy a three course, home cooked, dinner for two inclusive of a bottle of house wine. Please click here to reserve your table online.